Natalie A. Pierce | Littler Mendelson P.C. Natalie is co-chair of the firm’s Robotics, Artificial Intelligence and Automation practice group, which is focused on providing representation and compliance assistance to employers in the robotics industry and employers integrating automation, AI, telepresence and robotics into their workplaces. This practice group partnered with a major insurance provider to create the first integrated policy covering users of robotics and robots with ingrained artificial intelligence. 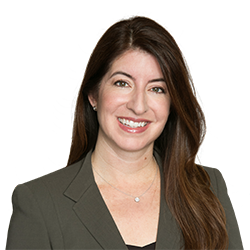 She is also a member of the firm's Unfair Competition and Trade Secrets practice group, Wage and Hour practice group, a core member of Littler’s Business Restructuring practice group and is co-chair of the firm’s Diversity and Inclusion Council. She has served as a member of Littler's Board of Directors. Future Workforce Roundtable with the Workplace Policy Institute, Washington, D.C.
ACC Annual Conference, Washington, D.C.
Women, Influence & Power In Law Conference, Washington D.C. Practical Human Resources Considerations in the U.S.
Women, Influence & Power in Law, Washington D.C.
How to Keep Your CEO Out of Jail: What Every HR Professional and Employment Counsel Should Know About the Federal Sentencing Guidelines?